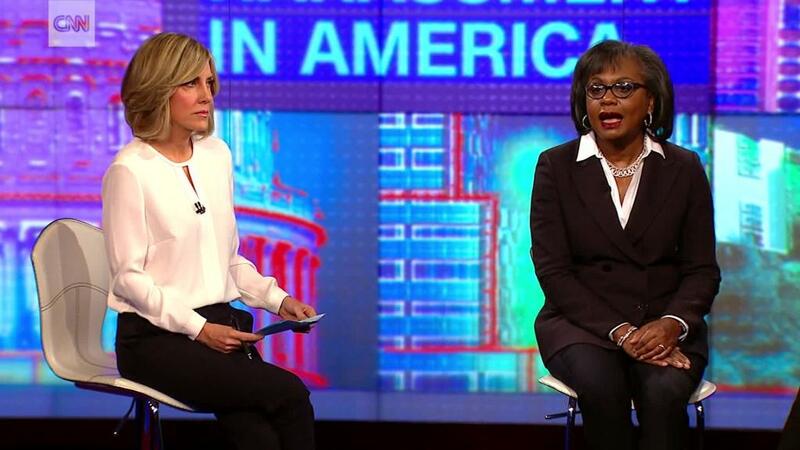 Camerota was joined by guests Anita Hill, an activist and professor whose 1991 testimony at the Clarence Thomas hearings raised awareness of "sexual harassment" as an issue; Jessica Barth, who has accused Weinstein of sexual misconduct; Tarana Burke, who founded the #MeToo movement; and others. 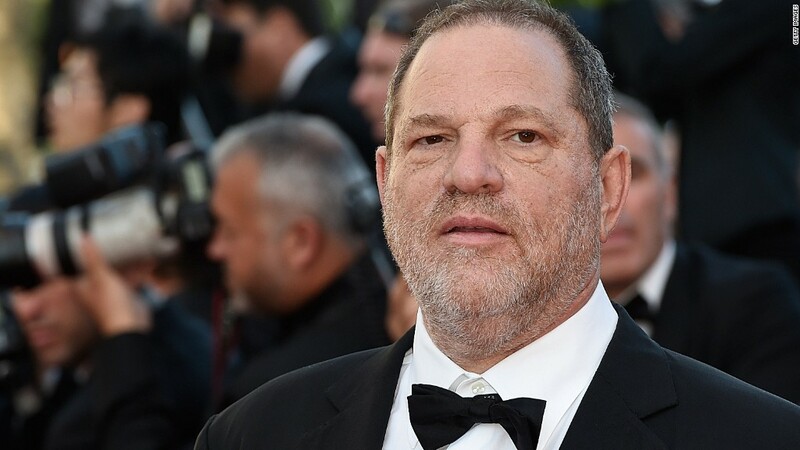 Since the Weinstein story broke, about one in five Americans said they had seen their friends or family post stories about sexual harassment on social media, according to a CNN poll. As more and more women share their stories, people are asking: Where do we go now? According to U.S. Sen. Kirsten Gillibrand, lifting the secrecy that silences survivors is the only way to create lasting change. "I think the #MeToo campaign is changing everything, to have a public forum where men and women can come forward to tell unfortunately the worst stories of their lives," Gillibrand said. "It's creating pressure. Look how much accountability we've seen in the last few weeks alone." Gretchen Carlson, a former Fox News anchor and the author of "Be Fierce," made headlines last year suing former Fox News chief Roger Ailes for sexual harassment. "Secrecy is the thing we have to lift so the women's voices match up with the power pendulum," she said. Breaking the cycle of shame and silence will make more women feel comfortable sharing their stories, according to Barth. "There's shame in speaking out," she said. "Part of the process in moving forward is to try to alleviate that shame." Carlson has been an outspoken critic of forced arbitration clauses, which she said silence women and other accusers. Under these clauses, an employee can't sue the company or participate in class action. Instead, the employee faces a forced arbitration forum -- not an open court. Carlson said she is working with members of Congress on both sides of the aisle to try to make these clauses illegal. The Arbitration Fairness Act of 2017 would ban mandatory arbitration clauses in employment, consumer, civil rights and antitrust cases. "I'm going to get this bill passed to take the secrecy out of forced arbitration, which is in so many employment contracts and gives no voice to women," she said. "And when that bill passes, it will land on the desk of President Donald Trump and I hope he will sign it." Gillibrand said she is working to reform the lengthy reporting process in place for staffers on Capitol Hill, which asks accusers to undergo 30 days of counseling before they can make a sexual harassment complaint. "How many interns out there felt they could never report these things?" she said. "How many young staffers feel if they reported something they will be scorned or never have a job on Capitol Hill again? I'm most worried about them. So we need to change the process for them so they can have accountability." Audience member Mike Kasdan, director of social projects for The Good Men Project, asked participants about men's roles in combating sexual harassment. "This is a problem that isn't going to go away without the active involvement of men in the solution," he said. "For men who are seeking to be involved or to participate in ending sexual abuse and harassment, how would you like to see them stand up as active allies?" Matt McGorry, an actor and social justice advocate, said men are responsible for "reeducating" themselves on the issue. "The question is not 'Are we sexist?' It's 'Do we know that we are sexist?'" he said. "Unless we're doing something to be a part of the solution, we're also part of the problem." Burke, the founder of the #MeToo movement, encouraged men to reach out to women who are sharing their stories. "A lot of survivors need to be heard and to be believed," she said. "Don't be afraid to say, 'Listen, I saw that and I want you to know I care.'"